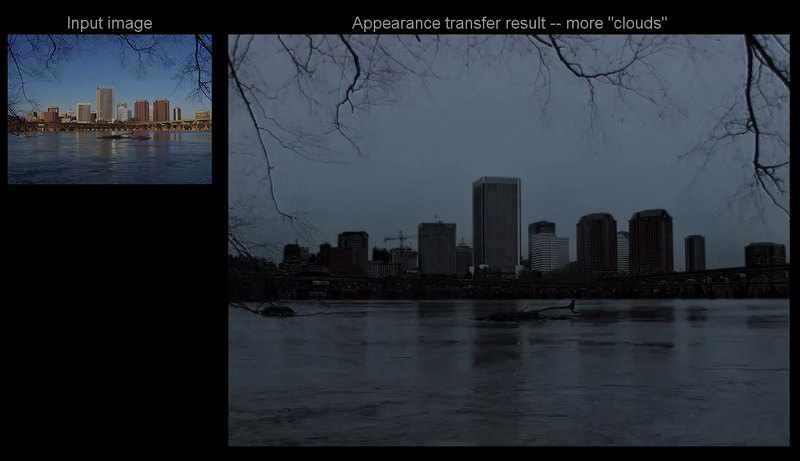 Researchers at Brown University recently developed an algorithm that allows you to manipulate the weather in your photos by simply typing out commands. And when it changes the weather, I don’t mean by filtering; if you want more clouds in your picture, you’ll type in “more clouds” and it’ll add the clouds for you. How does it work? The research put into the algorithm is explained in the video above, and it’s worth the watch just because of how unique the method even is. In a nutshell, the algorithm uses crowdsourced data over a collection of landscape photography captured through webcasts. With different weather patterns shot for each location, data is stored and referenced to when applying changes to a new picture. Are there going to be a few glitches here and there? Absolutely. Still in its developing stages, this algorithm is fresh, new, and has a lot more work to be done on it. But what’s certain right now is how much potential it already has. If the results from the video are anything to go off of, this development can be big for photo-editing – it may eventually even help out visual effects teams working on set design for the films we watch on the big screen.